These exceptional, vigorous hat boxes are hard to resist with their sturdy exterior, smooth surface and spacious insides to easily carry the load of your brand new hats. 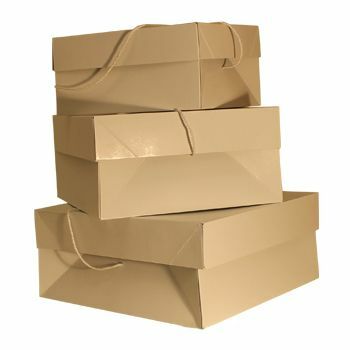 18 X 18 X 7"
These Pop Up Hat Boxes are the perfect tool for people selling hats or other products with similar dimensions. These boxes are for products that take up a lot of room but do not have a lot of weight. These products are available with grey interiors and white exteriors. You can also have custom printed hat boxes if needed; put your branding on them to make your packaging a marketing tool for your business. 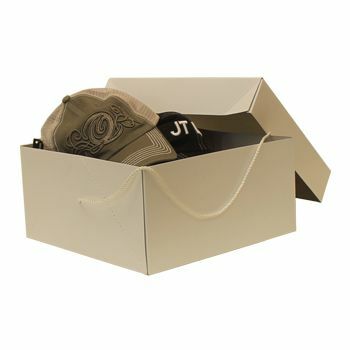 These hat boxes are available in a beautiful white finish in 4 different sizes.